Make the ice rink fun for the whole family this season when you print Skating Party Flyers and hand them out before your next event. 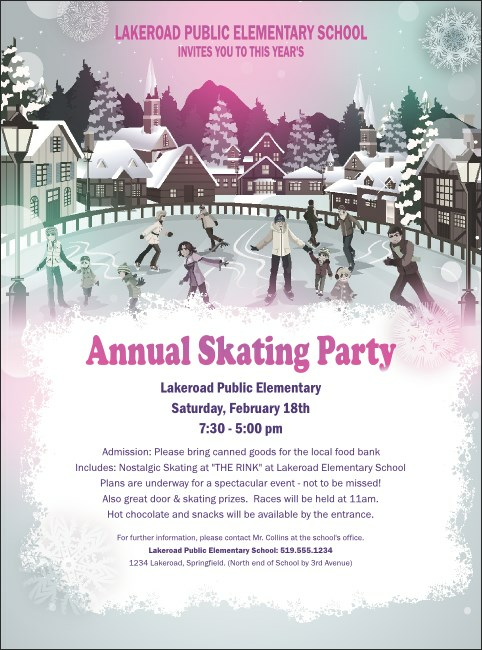 You can almost hear the laughter coming from the smiling faces of the skaters enjoying themselves in this scene with snow-capped trees and mountains in the backdrop. Fill in the easy template below and we'll send them your way! Keep your party on the cutting edge with themed Event Kits from TicketPrinting.com.